Four games of solitaire with a central theme. 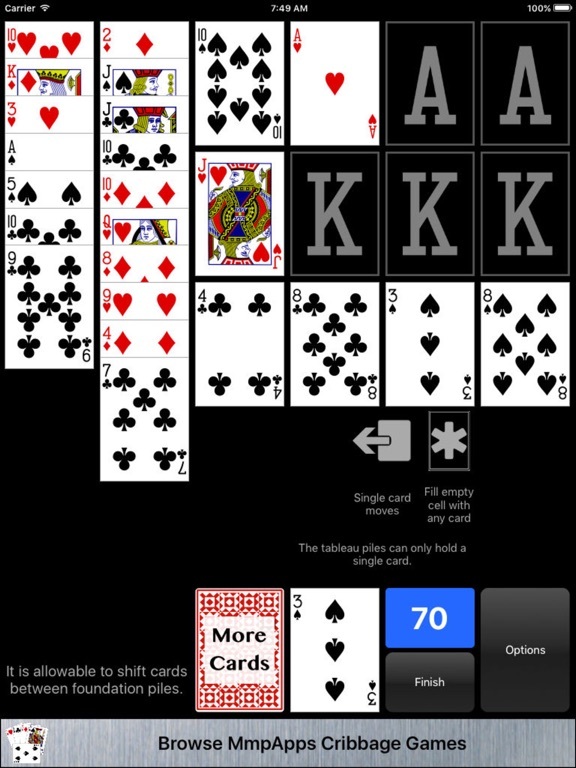 All games are free to play, no in-app purchases. 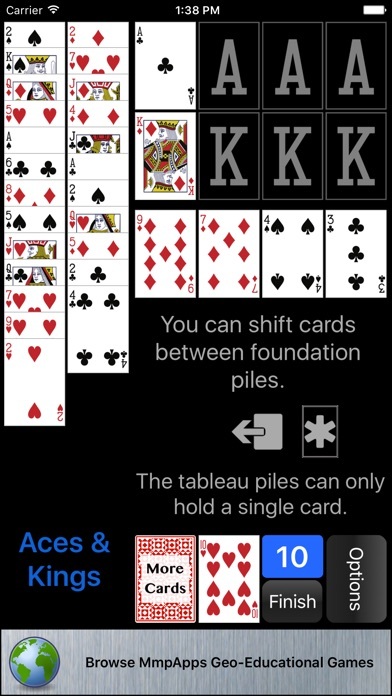 All the games are played with two decks and have eight mixed suit foundation piles, four build up from ace, four build down from king. 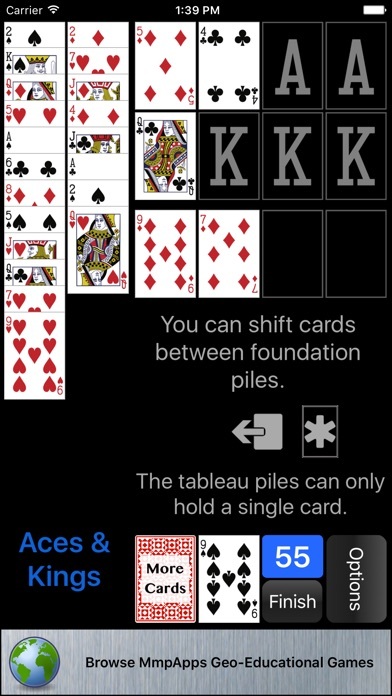 The unique feature is that you can shift cards between foundation piles. 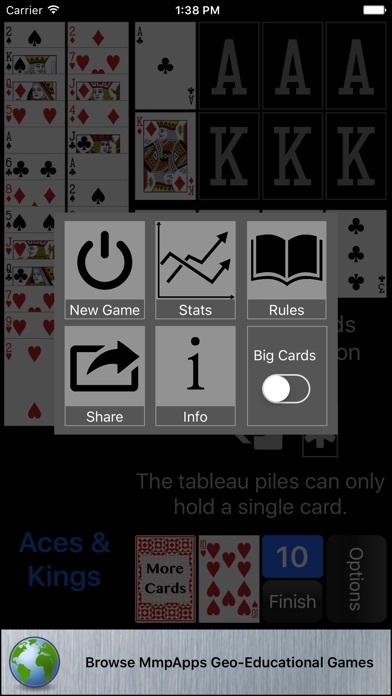 ACES & KINGS - Tableau piles can hold only a single card. 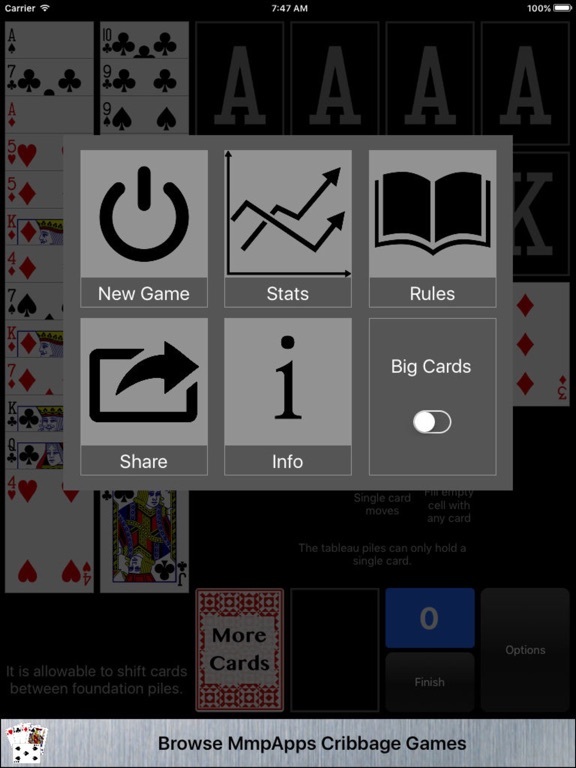 CYCLE - You get two passes through the deck. 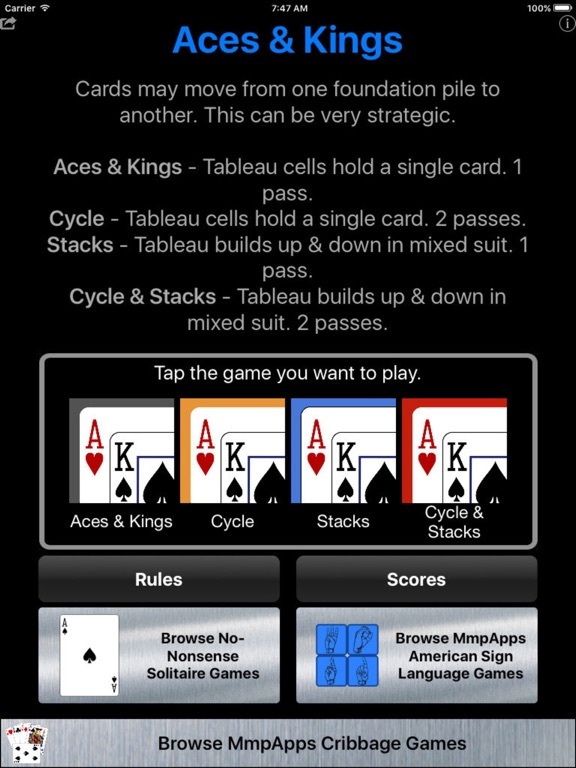 STACKS - Tableau piles build up and down in mixed suit. 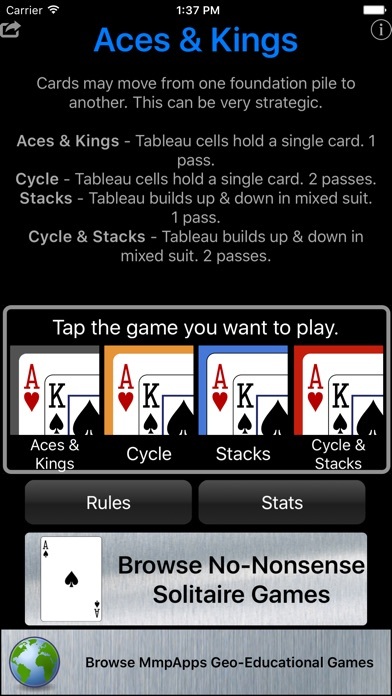 CYCLE & STACKS - The combination of Cycle and Stacks.